CUCET 2018 is an all-India test conducted for admission to about 322 Integrated/ undergraduate, post-graduate and Research Programmes in nine Central Universities. Eligible candidates can apply for CUCET from 19 February 2018 to 2 April 2018. The information brochure for the CUCET this year is soon to be released. 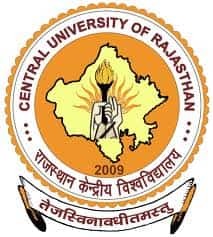 CUCET 2018, Central Universities Common Entrance Test will be conducted by the Central University of Rajasthan on behalf of all the nine Central University participating in CUCET 2018. CUCET, commonly known as Central Universities Common Entrance Test is an all India level exam for the admission in various undergraduate as well as the postgraduate exam. CUCET is organized by the nine Central Universities together. Latest Update: The online registration for CUCET Counselling 2018 has been started for Central University of Rajasthan & Central University of Haryana. The qualified candidates can follow the link below to register for CUCET Counselling 2018. CUCET 2018 Result has been declared on 25 May 2018. The candidates can download the same from the link given above. Eligibility criteria according to the different university. Candidate must note that different universities have different eligibility criteria for a similar course so the candidates are advised to check it carefully before applying. Eligible students can apply for up to 3 (three) options of programmes/ courses of his/ her choice. But care should be taken to ensure that you apply only for those programmes/ courses for which you are eligible. For each of the programme option chosen, the candidate can also give up to 3 preferences of Universities offering the programme. However, it must be noted that in case there is a clash of timings of tests for more than one options chosen, the candidate will have to decide which test to appear for. CUCET 2018 application has started from 19 February 2018 on the official website. The candidates can apply for CUCET 2018 only through online mode. There is NO offline Process of filling the CUCET 2018 Application Form. The last date for the submission of the application form is 2 April 2018. The candidates are advised to apply on or before the due date. The candidates are required to follow the steps given for filling the CUCET Application Form. The candidates are advised to follow the link given below to get the complete details on CUCET application form. STEP 5: Payment for CUCET Application fee. There is two mode to make the payment i.e., Offline and Online. Candidates are not required to send any hard copy of Application form, confirmation registration slip or any other document to the registered office. On successful submission of duly filled in CUCET 2018 Application Form, an e-mail and SMS will be sent to the email id & mobile number of the candidates given in the application form. Candidates are also advised to check the details of the application form and then make the final submission as once the application gets submitted, the candidates will not be able to change the details of the application form. Candidate can download the CUCET 2018 Admit card from 13 April 2018 onwards from the official website by entering his/ her application number & date of birth. Admit Card is available on the official website only for those eligible candidates who have submitted their duly filled application forms before the due date. The admit card is not dispatched through the post to the candidates, so no correspondence in this regard is considered. Admit Card is an important document to be carried at the exam centre. The CUCET Application fee is different for the different category. However, the PwD candidates are exempted from paying the application fee. The categories amount of fee is given in the table below. The candidates are required to pay the application fee according to their category. If a candidate pays the examination fee through Offline Challan mode of SBI, the bank charges of Rs 50 will be borne by the candidate. The answer key of CUCET has been released by the Central University of Jharkhand. The candidates who appeared in the exam can check their answers and calculate their score. The complete details about the answer key are given below. The candidates will be able to check the answer key on this page when available. Generally, the answer key gets uploaded within one week after the exam. Anyhow, if the candidates have any doubt or objection regarding the answer key then they can challenge the answer key. Whether the candidate has applied for that particular program in that University as a first choice. (If seats are available, candidates with second and third choices may also be considered). Candidate’s ranking in the CUCET for that program (higher the score, better are your chances). Meeting the eligibility criteria prescribed by the University. Negative Marking: There will be negative marking, and 0.25 mark will be detected for every wrong answer. The CUCET exam pattern is divided into two parts i.e., Part A, and Part B. Both the parts are described below. Part B may consist of three/four/five sections. Each section will have 25 questions. Candidates are required to answer a set of any three sections. Candidates must make sure that they fill right circles in the OMR Sheet corresponding to the question numbers attended. For Admission to some Integrated Courses/MBA/MCA/LLB/LLM or any other general course(s), candidates will have to take one paper consisting of 100 MCQs from English language, reasoning, data interpretations/numerical ability, general awareness and analytical skills. CUCET 2018 Test Cities are spread in 78 Test Centres throughout India. CUCET is Paper and Pen-based entrance exam for students seeking admission to 322 Integrated, Undergraduate Programmes, Post Graduate and Research Programmes in Nine central universities across the country. The candidates are required to follow the link below to get the complete list of the test cities for the conduction of the CUCET. CUCET 2018 Application Form- Last Date Extended! CUCET 2018 Result - Declared!